A vote buying scandal that implicated over 500 lawmakers reveals the scope of China’s corruption problem. What do you get when you cross 93 Hengyang People’s Congress candidates with 76 vacant seats at the provincial level? Well, you get $18 million, 512 resignations, and 56 sackings. A recent vote-buying scandal in Hunan province is making headlines in China and puts into perspective the scale of corruption at China’s local and provincial levels. More importantly, it shows Xi’s corruption crackdown — high profile as it has been — has barely scratched the surface. 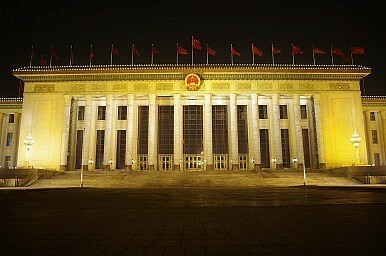 Just days after Chairman Mao’s veneration, 512 lawmakers (as well as 68 other staff members) offered their resignations for accepting bribes from 56 different deputies for their votes for a price of 110 million RMB ($18 million). In the battle against corruption, these are the “flies” rather than the “tigers” Xi’s campaign was shooting for, but — given the extent of the bribery — it puts the scope of corruption into perspective. The actual crux of the issue was election to the provincial level. Ninety-three candidates in Hengyang’s local legislature were vying for just 76 vacant seats. It is, perhaps, slightly funny that — after the bribers and bribed were thrown out — only eight delegates remain out of the original 529. Xi’s crackdown has caught (or rather annoyed) several “tigers”, like Yang Gang, Jiang Jiemin, and Zhou Yongkang himself. That said, it’s far more likely and convenient for the CCP to adopt a bottom-up approach to corruption; a top-down approach seems improbable considering any mention of corruption within the celebrated politburo doesn’t tend to end well. However, if the corruption crackdown is not effective, it’s not for lack of scope: 108,000 officials were punished in the first nine months of 2013. But the plan’s rather optimistic view that they can reach “public satisfaction” in five years is plainly impracticable. The situation in Hengyang and Hunan Province is by no means unique. Corruption is considered endemic at the local and provincial levels and it would take a nation-wide, systematic campaign to clean up. However, for every step forward there have been spectacular foot-shooting incidents, mainly attempts to exclude the public from the conversation. It’s a trifle difficult to tout exposing corruption when many await trial or rot in jail for their anti-corruption efforts. Jailing people for online “rumors” — the government’s only real weapon in fighting grassroots corruption — is also not exactly helpful. As such, China’s battle against corruption, as in Hunan Province, is treated as mainly an internal affair, rather than the systemic failure it truly is and has been. Even successes are rarely followed by legislation, just a peculiar mix of bragging and scapegoating: Hunan Daily, somehow, blamed the rampant corruption on “some people’s blind trust” of western-style democracy. This vote-buying scandal is being treated like a triumph for anti-corruption efforts, but, in the end, all it has done is left eight officials holding 529 very expensive rubber stamps. Yang Hengjun investigates the role of corruption at the grassroots level.